How Google Assistant Saved My 20K Expiring Alaska Airlines Miles & Don’t Let Your Gifted Virgin Miles Expire! A few weeks ago I wrote about the amazing Disneyesque Google Assistant Ride that the company built exclusively for the CES show. The ride blew me away, but little did I know at the time that Google Assistant also had something else in store for me. 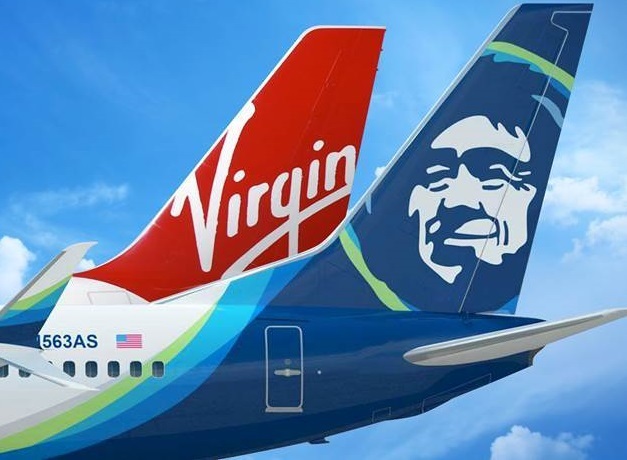 It helped me save 20,000 very very valuable Alaska Airlines miles! It all started in January of 2017 with a gift from Alaska. They gave both my son and daughter 10,000 bonus miles because of their merger. My kids had Virgin America accounts and not Alaska accounts, which is probably why this happened. Either way it was appreciated, but almost forgotten. Fast forward to late last month when Award Wallet (thankfully I had added these accounts to the service) sent me an email warning of the expiring miles. Award Wallet was nice enough to give me a month to figure things out, but alas I missed the email or forgot about it. December was a bit hectic, but all was not lost thanks to Google Assistant. About 6 weeks ago I switched from my iPhone 7 Plus back to Android. (I’m loving my One Plus 6!) One of the benefits of Android is the tighter integration with Google Assistant and it is awesome. As I was sitting down looking at my phone last night Google popped up a notification informing me of the expiring miles. The notification lead me directly into Gmail and into that Award Wallet email. After seeing this I used Google Assistant to make a reminder for the morning so I wouldn’t forget to use these miles. Alaska says you need earning or redeeming activity every 24 months in order to keep the miles. This means by earning or redeeming miles for flights you extend your account 24 months. You can also redeem miles for hotels, charity and magazines. Unfortunately I wasn’t sure how long any of these options would take, so I decided to book a flight with the miles since I knew that would be instant. Alaska charges 10K miles for many flights from 1,400 to 2,700 miles in distance and I was able to lock in a ticket from SFO-ORD. There is one more thing you need to know about these created accounts if you have one. For some reason you will have to call to have them activate the account for booking if you have never used it. When I initially tried to book I received this message despite being logged into my account. Thankfully a quick call both got my account fixed and got the flight booked. Since it takes a bit of time for the account to activate, the agent booked my flight for free via the telephone. 10,000 miles saved! I have to be honest this is one of the most useful and practical uses of technology I have encountered. Yes, Google is collecting massive amounts of data about its customers and it’s a personal decision as to whether or not you want to participate in their ecosystem, but this is how technology should work either way. At least if I’m selling my soul, I’m getting a little tiny bit of something in return. Do you have any of these miles expiring today or soon? Let us know how you plan to use them in the comments. No More Camera, Dumping My Android & AT&T Access More to the Rescue! Now you can go ahead and cancel within 24hrs. Google Chrome will also remind you of this if you use Award Wallet. Also I think the manual verification is a Virgin to Alaska account thing (I could be wrong). The reason I say this is my wife and I both had Alaska accounts and Virgin accounts. As a sidebar she used to earn a bunch of Virgin points from Silvercar rentals (RIP). and my son didn’t an Alaska account, only a Virgin account. When they changed these over his was the only one that required manual intervention from Alaska for some odd reason. Then we piled on during the Marriott to Virgin to Alaska conversion deal to really rack up Alaska miles. Somewhere along the line I joined Alaska Airlines Opinion Terminal survey thing (I think that’s the name) where you can answer surveys for miles. The good thing about this program is that it sends out a lot of surveys (more than half of the ones I get) on TV viewing that take about 5-6 minutes and reward 25 miles. You pick one show you watched, answer 14-18 multiple choice questions, and it seems even if you get the answers wrong (sometimes I haven’t watched a show, so I guess a lot) so long as you finish, you get the miles. Not a big expenditure of time and keeps miles alive. I ignore the surveys that are longer and I still get plenty of these short ones. Useful tool to have in the arsenal. It doesnt extend them if you use their shopping/dining portal? I havent taken a flight in … mmm, 8-12 month, but it still says 1.9 years in AwardWallet, and portals/credit card are the only way Im earning them (I know they wont expire with the card, but AwardWallet doesnt know that). As DaninMCI said, AW has a Chrome extension and if you allow notifications it’ll give you earned/expiring alerts as pop-ups. Yes using the portal would extend them. These are accounts we don’t use often and I just let it slip my mind. Certainly using a portal to extend miles is a great idea, just make sure you give the miles enough time to post.